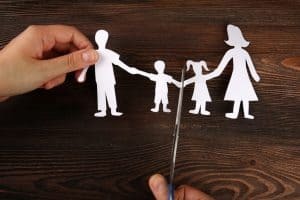 Mediation is a neutral place for separating or divorcing parents to discuss the obstacles which still hold them together. Most commonly these are children, money and property. Mediation is not a relationship counselling service, but a way for former partners to amicably divide their assets and children’s access without needing to involve the time and expense of courts and judges who may not fully understand the situation. How do I access mediation? The system is self-referred. To discuss your mediation needs just call us. We offer pre-mediation advice for just the price of the phone call which will help you decide if mediation is suitable for you. Do I need a solicitor with me during mediation? No, a mediator is completely neutral. You are encouraged to seek legal advice through a solicitor in conjunction with your mediation sessions to ensure the terms you have reached are suitable for your requirements. Does mediation affect my legal rights? An agreement reached through mediation is not legally binding. It relies on both parties standing by the agreed terms. This does not affect your legal rights. If you prefer, the mediation agreement can be taken to a solicitor to be drawn up as a legal document. Alternatively, the case can be put before the judge if mediation does not work for you. But if it is not binding, why would my ex stick to it? Agreements made voluntarily by both parties tend to reflect the needs of everybody, more so than court orders. Because both parties are involved in drawing up the agreement, both parties are more likely to stick to the result. My ex is more persuasive than me. I’m worried that I’ll agree to something I regret later. Mediators are specially trained to ensure both parties get their full say and are happy with the resulting agreement. They do not take sides, and will not pressure one party to agree to something they are not happy with. If property and financial matters are being discussed, the mediator will recommend each party contact their solicitor for full legal advice before the final agreement is signed. Who comes to the meetings? Can I go by myself? Usually, there is an initial, information gathering meeting between the mediator and each party individually. After this, every meeting needs both yourself and your ex present in addition to the mediator. If you want an additional supporter at any of the meetings, your ex will need to agree to this. It is very important that children’s opinions are also heard. This does not affect the parents’ rights. Children are not permitted to attend the mediation sessions but are encouraged to have a discussion with a specially trained mediator to hear their perspective and to help them cope with the change. The child decides what information can be shared with the parents. Both parents need to agree to the children’s mediation session. What’s the point, we’ll either never agree, or my ex just won’t turn up. Even if previous attempts at resolution have failed, trained mediators can succeed due to their neutral and professional approach. If your ex fails to turn up, the mediator will write to them to explain the purpose of the mediation. 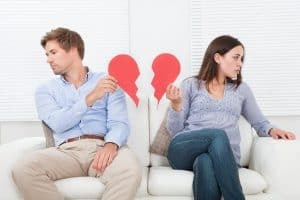 Sometimes your ex may need an initial meeting by themselves to reassure them of the benefits of mediation. Each session takes between 60 and 90 minutes. The number of sessions depends on the amount of information that needs to be covered and the progress made at each meeting. Yes. By law, you do have to disclose your full financial situation, but unless you choose to make the outcome a legally binding document, the mediation agreement remains confidential. What is Legal Aided Meditation? Legally aided meditation is a service provided by the government, and it covers the cost of acquiring an expert meditation service. The assistance applies mainly to families involved in disputes. Legal Aid requires individuals involved in the conflict to provide evidence of their present financial circumstances. The presentation of proof allows you to qualify for Legal Aided Meditation. Upon eligibility, legal aid covers all your meditation costs along with Meditation information and assessment meetings (MIAM) which are initial meditation meetings. The legal aid fee also caters for the other individual MIAM meeting if they are not eligible. For an individual to be eligible for Legal Aid, there has to be a proof of evidence of your current financial circumstance. You are required to provide the following during your first Meditation Information and assessment meetings. Estimate value of your capital assets and this includes your home and other property. A bank statement that covers all the first four sessions with your mediator. Proof of income as an employee and this is mainly a payslip. If self-employed, your tax returns and most recent accounts. If you receive benefits, then a current entitlement letter dated within the previous six months is appropriate. How can one access it? The first step to acquiring access to Legal Aid is for the mediator to fill in a form known as CIVMEANS7 during your first MIAM meeting. After which you then date and sign it. The form assists in calculating your income and outgoings. You obtain income support, pension guarantee credit, Universal credit card and income based ESA. You live alone, and your household income is below £ 17000 p.a. You live with dependent children or/and a partner with a household income of below £ 21,000 p.a. Which meditation cases does legal aid assist? It is important to know that not all meditation cases are eligible for legal aid. Examples of such incidents include a divorce case with financial disagreements, Child visit arrangements not going according to plan and family breakdown disputes that lead to court. However, at your first meditation information and assessment meeting, the mediator will explain in depth what issues require meditation services. Legal aid is, however, available if you can prove that you are at risk or have exposure to physical abuse. As for your child, the main dispute concern is the risk of exploitation from someone else. In all legal disputes, word of mouth or allegations are not enough; you have to provide evidence of risk to physical abuse for you or your child. The evidence you provide has to be acceptable to the ministry of justice. Other than just mediating, the mediator calculates all your income for the past four weeks until the day of your first assessment. The calculations help determine eligibility for your Legal Aid. To complete the process, you have to provide proof.